It will not be easy. And it will require far more political will than any government has shown so far. As the investigation into the Nirav Modi/PNB LOUs matter gathers steam, the number of commentators asking for the government to get out of owning so many banks is also growing. The calls for privatization of at least the majority of the Public Sector Banks (PSBs) have been made even earlier. The nationalization of 14 banks in 1969 by Indira Gandhi paid rich dividends politically but did not make much economic sense, as multiple researchers and analysts have pointed out. (Nevertheless, six more banks were nationalized in 1980). The public sector banks have fulfilled the goal of financial inclusion up to an extent (by opening up rural branches and by executing other schemes promoted by the government from time to time) but at an enormous cost. By and large, the PSBs have proved to be fairly inefficient compared to their private sector counterparts, and they have required capital infusion from the government at regular intervals. Each time, the amount required to recapitalize them increases. And the bulk of the recapitalization is done using the tax payer's money. As recent data on non-performing assets (NPAs) show, the PSBs have also made bad loans galore, all of which are coming home to roost now. The three major scams that have made headlines in the past month have also largely involved public sector banks - the Nirav Modi-Mehul Choksi case (Punjab National Bank), the Rotomac case (Bank of Baroda) and the Sambholi Sugars case (Oriental Bank of Commerce) - though some private sector banks had also given smaller loans. The government is the majority owner of 21 banks currently and in the year 2016-17, nine of them reported losses. The previous year (2015-16) 13 PSBs had reported losses. In the current fiscal, the number of PSBs reporting losses might be even more, as they make provisions for the scams that have come to light and also for the NPAs that are now being referred to the National Companies Law Tribunal (NCLT) under the Insolvency and Bankruptcy Code (IBC) for resolution. By the second quarter of this fiscal (2017-18), the bad loans of the PSBs had reached Rs 7.34 lakh crore (compared with the Rs 1.03 lakh crore of the private sector banks). And as the recent cases show, many PSBs do not have the risk management systems to spot frauds early enough, if there is a rogue employee, or a group of them, involved. This government, of course, doesn't want to privatise the PSBs - in fact it plans to merge several of them to have half a dozen large banks instead of 21 banks of all sizes. The stated goal of the Modi government is to finally have four or at most five very big PSB banks by merging them. That might make sense in terms of having banks with big balance sheets, but it will not do anything much for the asset qualities of these banks. Merging three banks with bad loan books will only get you one big bank with a very large and bad loan book. There have been multiple suggestions that the government should own only the biggest PSB - the State Bank of India (SBI) - and that should be enough. SBI's balance sheet size of Rs 27.6 lakh crore is bigger than the balance sheet of the next two banks (HDFC Bank and ICICI Bank) put together. After the merger with its associate banks, it is now among the top 50 banks in the world in terms of size. And in terms of banking depth and branch spread, it is more than capable of executing all the programmes that the government announces for the poor and the farmers from time to time. The rest of the PSBs make a motley lot. 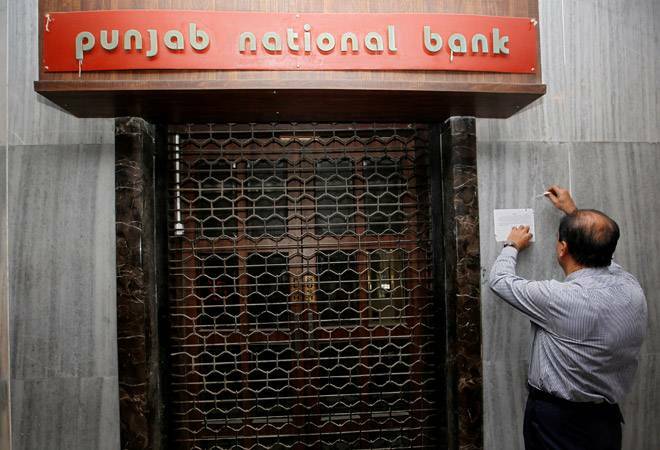 They range from PNB (which is currently in the eye of the scam so to say and is the fourth largest bank in India in terms of balance sheet size) to Punjab & Sind Bank, which is among the smallest banks in terms of balance sheet size (Rs 96,643 crore). Privatising all the others apart from SBI would make economic sense for a government because it would not have to worry about NPAs, frauds or recapitalizing the banks. It would be good for the banks because they would be freed from political pressures and will be able to take decisions based on business risk assessment and opportunities. It is true that even private banks can see frauds and come to the brink of collapse (the Nick Leeson-Barings Bank case or the Lehman Brothers case are recent global examples) and from time to time even Indian private banks have come close to collapsing (Global Trust Bank and the Lord Krishna Bank are two relatively recent cases). But in both cases, they merged with stronger banks, with some encouragement from the RBI. It is also true that a couple of private sector banks currently have seen a sharp rise in their gross NPAs, and they have also been pulled up by the RBI for the divergence between their estimates of their NPAs and the central bank's estimates. Having said that, in general, the current private sector banks are, in general, run better than most of their public sector counterparts. But privatizing the PSBs is easier said than done, even if it makes economic sense for the government (and the government actually believes in getting out of the business of owning so many banks). The first big problem is that given the current regulations, no business group or individual can take over a bank and turn it around. The RBI regulations cap the shareholding by a single entity at 10 per cent (and voting right by a single group at 15 per cent). The government gradually reducing its stake by offering the shares to the public would not make sense because this would do nothing about the management change that is required to actually fix the problems at the bank. In fact, it makes sense to privatise only if the bank is handed over to a strong management. It therefore makes sense to consider a few weak PSBs to one of the bigger and well run private sector banks with a strong management and see if they are interested. But there are only half a dozen private sector banks that have the depth and the strength to take over one or two PSBs. So only a handful of the 20 odd banks (leaving aside SBI) can be taken over by the likes of HDFC, ICICI, Axis, Kotak or Yes Bank even if they wanted to and the government decided to offer it to them. Public sector banks form around 80-85 per cent of Indian's total bank universe in terms of balance sheet size, with private sector banks making up for the rest. Moreover, if a private sector bank took over the PSBs it would only do so after the government did something about the existing NPAs and after doing a thorough forensic check, and after the government allowed them a free hand to sack employees. (As in the case of Air India, the potential buyer for a PSB would probably want the government to take over its NPAs and start with a relatively clean balance sheet). Moreover, any effort to privatise a PSB would run into not just political opposition, but also tremendous opposition from the unions. In fact, the union problem in PSBs could pretty well stop any privatization move. Thus, though privatization makes most economic sense, it is probably unlikely to happen even if the government decided on it. It makes sense therefore for the government to look at other things it can do to fix the public sector banks. It might mean systemic changes at the management level, and a completely different way of looking at employees at the lower levels. Once an appropriate management team has been put in place, the government would also need to ensure they have a long enough tenure to actually turn around the bank (currently, a bank chairman in a PSB is there only for two or three years, which is too short a time to fix the bank's problems. In contrast, the best run private sector banks have seen their top management teams remain in position for over a decade, and even when the managing director retires, the person taking over has generally been groomed for the task for many years). Finally, the government needs to protect the bank managements from political interference and pressure. The other option for the government would be to take the route they did when they privatized UTI Bank (later renamed Axis Bank). Here it offered it to half a dozen financial institutions that took over the ownership, and then found a suitable management to fix the bank. But the Axis Bank journey itself was far from easy. And while it worked reasonably well once, it would be difficult to replicate it with multiple banks. Fixing the current mess in public sector banking will not be an easy task. Nor can it be done quickly. And it requires a political will that few governments have exhibited so far.